"It is outrageous that there is no concrete reason which explains my exclusion from the Olympics, and furthermore people now view me as an athlete who used doping"
Six-time Olympic gold medalist Viktor Ahn wants to know why he has been barred from next month's Pyeongchang Games. Ahn is a short-track speedskater who was born in South Korea but switched allegiance to Russia ahead of the 2014 Sochi Games. Russian officials say the International Olympic Committee has refused to grant Ahn an invitation amid its vetting of the country's athletes for possible doping links. "It is outrageous that there is no concrete reason which explains my exclusion from the Olympics, and furthermore people now view me as an athlete who used doping," Ahn wrote in an open letter to IOC President Thomas Bach. 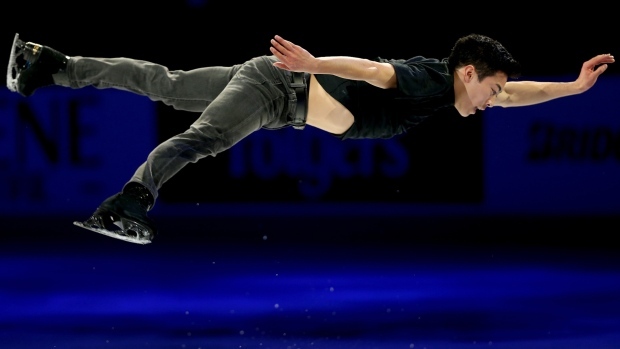 Competing in South Korea would have been "an especially significant part of my career for several reasons," said Ahn, who won his first three Olympic titles while competing for his native country. "I hope that the IOC will ultimately declare their reason for my exclusion, so I will be able to defend my honor and dignity." Who will be skating for Team USA at the 2018 Pyeongchang Winter Games? Check out the full roster and learn a bit about the skaters who’ll be going for the gold. Ahn's letter was published Friday by the Russian Skating Union. Asked about the letter, the spokesman for President Vladimir Putin said Russia would support all athletes, whether they take part in the Olympics or are barred. "Intensive contacts are under way with the International Olympic Committee to clarify the situation and so that the interests of our athletes who are able to take part in the Olympics are completely secured and respected," spokesman Dmitry Peskov said. "There are athletes who are disputing their rights in a legal context. There are athletes who are appealing to public opinion. There are athletes who are appealing to the Olympic committee leadership. That is their right." The IOC hasn't confirmed which Russians will be invited to compete in Pyeongchang, and hasn't explained any individual decisions. However, it has said newly obtained records from the Moscow anti-doping laboratory played a role in the decision-making. Russia announced an Olympic team of 169 athletes on Thursday. The list didn't contain Ahn or some other Russian medal contenders, including cross-country skiing world champion Sergei Ustyugov and biathlete Anton Shipulin. 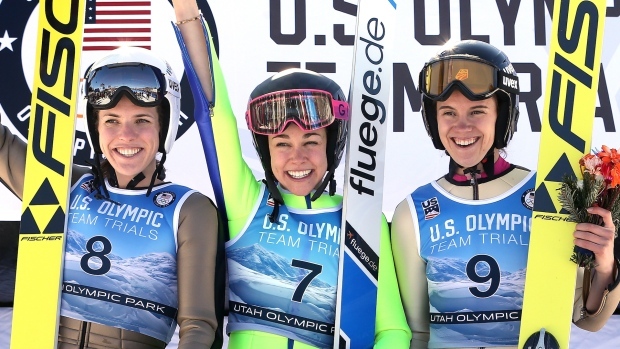 Sarah Hendrickson, the first woman to ever ski jump in an Olympic event, will be joined by six ski jumpers at the 2018 Olympics Winter Games in Pyeongchang. The IOC refusals for some are separate from the doping bans for 43 Russian athletes because of what the Olympic body ruled was a doping program and cover-up at the Sochi Games. Of those, 42 have launched appeals at the Court of Arbitration for Sport, which is due to rule next week.